Networx® stocks a variety of internal power cables to suite your Serial ATA device requirements. No matter what the Serial ATA device that you need to connect the Networx® has the cables you need. 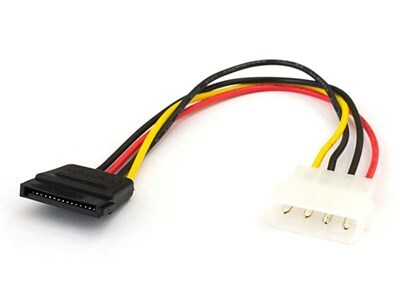 The Networx® 6 inch Serial ATA power adapter cable adapts one 5.25 power connector into one Serial ATA power connector.